Heat oven to 375°F. Spray 8 (6-oz.) 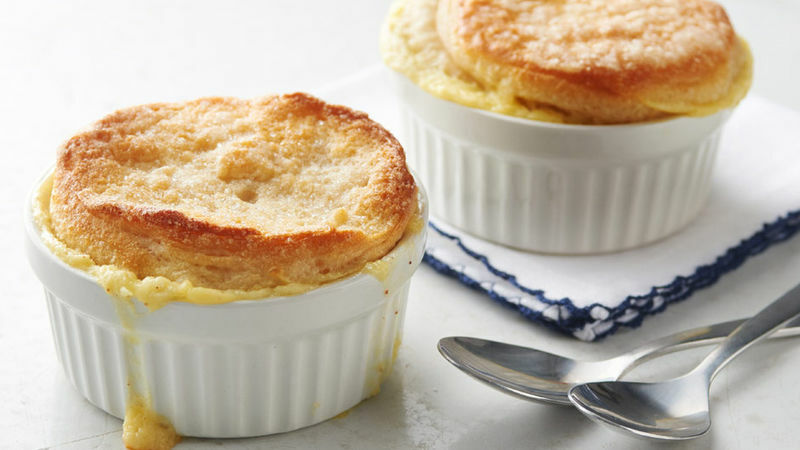 ramekins or custard cups with cooking spray; place on cookie sheet with sides. In medium bowl, beat eggs, cream, nutmeg and yogurt with electric mixer on medium speed until well blended. Bake at 375°F. for 20 to 26 minutes or until tops are deep golden brown. Cool 15 minutes before serving.